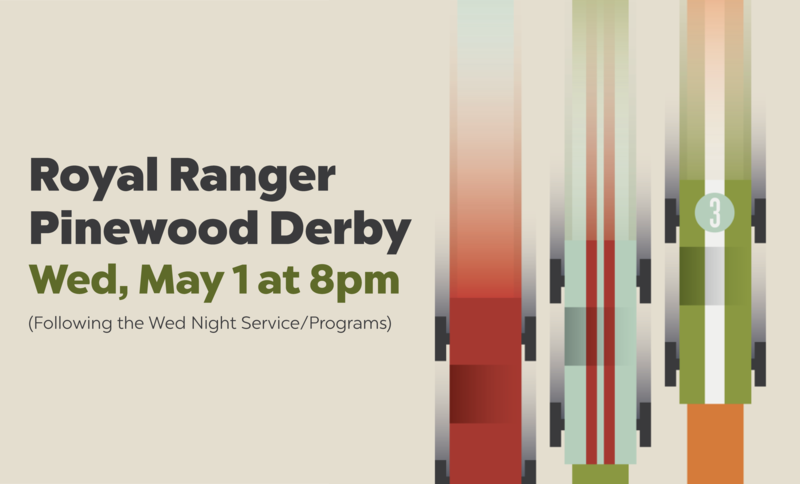 Come cheer on the Royal Rangers as they compete in their annual pinewood derby race! The race will be held in the gym following service & kids programs, approximately at 8pm. Healthy, light refreshments will be available.